The key to this solution is in the “Project Properties” run configuration settings. Its typical to have it set to “Local Web Site” or similar so the start page shows up in your browser when pressing F6 (Run). You can still have this, and have some automation connected to it as well. First of all we need to download the YUI Compressor JAR-file from Github. Then put it in your project root directory (for simplicity in this tutorial). Now we have a shell file that executes when the project is run, that means we can pretty much do anything before opening up the web page. First we run the YUI Compressor with options of our liking. Then we use Google Chrome to open up the project in a web browser. This way we can still have it open in a web browser when the previous task finishes. 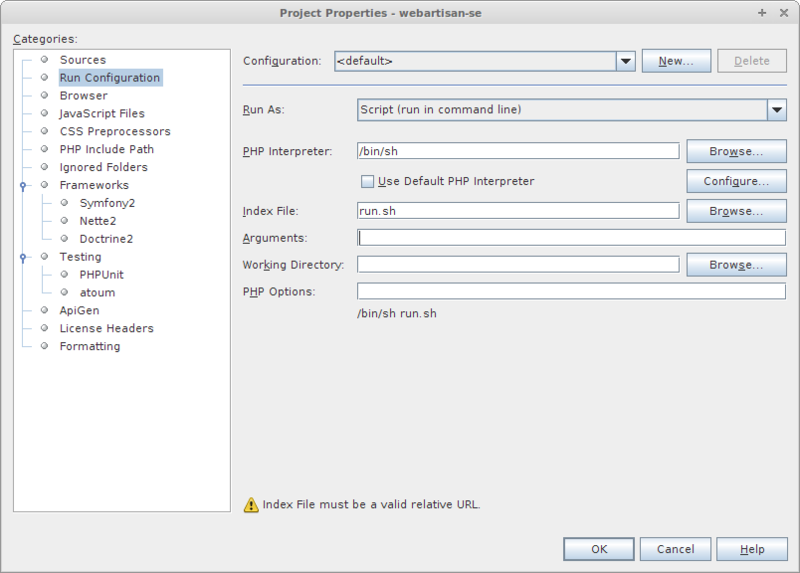 And there you have it, automated YUI Compressor in NetBeans!